Week 10. Write a review of the Behisti/Bahonar reading (10.5) that includes a summary of their argument and your evaluation of its efficacy. Also include comments about its broader potential significance. The basic argument behind the essay is that there is no contradiction between science and religion. Of course they specifically frame the argument from the perspective of Islam which they attempt to present as a religion being very compatible with modern scientific theories, specifically the theory of evolution. Their attempt to present all scientific discovery and development as being in line with God’s will is informed largely by rational deductions which are juxtaposed and analyzed with Quranic (and at times Biblical) references. What is differenent about Behisti and Bahonar’s argument is the stance that but at times the way in which the authors articulate the argument by repetitive emphasis on the compatibility of rational theological thought make the entire exercise at times seems to be a little contrived. While there is some novelty in perceiving Adam’s creation or Isa’s birth as a ‘mutation’ or a supernatural event where ‘divine spirit was infused in a body of clay’ and which willed by God as the authors do (175) it does also seem like a convenient explanation. By ascribing all inexplicable factors to unseen supernatural powers, they try to validate the theological points of view which does see the prophets as being specially privileged ones and which accept miracles as ‘signs of the power and wisdom of the creator’. But obviously from the scientific perspective such creation is seen as an aberration. It is problematic also from the Quranic and also Biblical view point which sees all men as progeny of Adam. In the authors argument this does not hold true for all mankind throughout history, but only for exceptions to the normative phenomenon. (174) However while the authors are dismissive of the textual basis of such belief they do not provide any meaningful explanation for the fact if Adam’s creation was an exception then whyd did human evolution follow a form that was so similar to that of the exceptional and specially priviliged beings. It seems that at times the authors dwell on ambiguity and the inconclusive nature of scientific arguments to make space for and present a case for religion. The authors take pains to repeatedly emphasise that ‘no decisions are ever conclusively or scientifically proven’ and that the ‘principles of evolution are still subject to further scientific critique and investigation’. (177) In a sense their argument concludes with the assumption that the present debate will remain inconclusive given that it is figuratively the dice is still in the air. Such a conclusion however makes the entire exercise seem a little futile given that the whole point of the argument here seems to be the reconciliation of science and religion. They do raise a pertinent point in such analysis that is, science really cannot explain everything and the inexplicable phenomenon leave a void in our understanding. The potential significance of Behisti and Bahonar’s discussion is that it can unsettle scientific theory by proving it as inconclusive and arbitary on the one hand and neutralize all contentious discrepancies within and between religion which they insist can be explained away as anomalies and exceptions. By doing so the authors make a somewhat notable contribution to the argument by creating a middle ground, however obtrusive, that can allow for further debate to take place outside the binary and opposing conception of religion and science. This was an interesting article in the Foreign Policy magazine this month. There are estimated to be between 1.5 million and 2 million Shi’a in Saudi Arabia, mainly inhabiting the oil-producing east region. The Saudi Shi’as, who represent about 10 per cent of the population complain about socio-economic harrasment and discrimination, including exclusion from top political or military posts. They have been shown in the recent past to assert the Sunni majority questions their loyalty to the Saudi state and is suspicious of their religious affiliation with Shi’a-majority Iran. 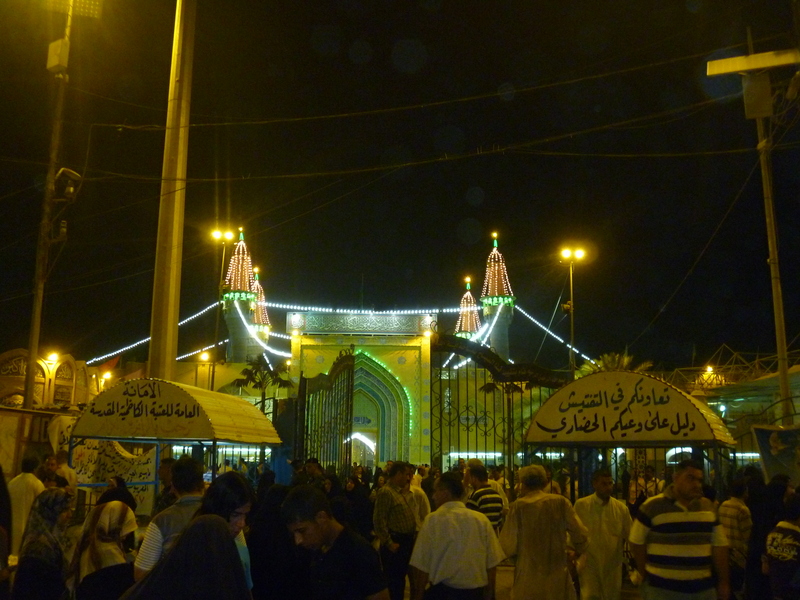 The Shi’a’s dismiss accusations from some Sunni sections that the Shia community’s loyalty lies east, to Iran, rather than Saudi Arabia, even if the Shia do look for religious guidance from ayatollahs in Iraq and Iran. However the Saudi-Iranian rivalry continues to manifest itself in one form or another in the socio-political and geopolitical terms, as it does in other Muslim countries in the region. In realistic terms this rivalry seems a bit far fetched and it difficult to understand what both sides are getting out of this friction , which has lasted over decades, other than hostility and violence in Muslim communities. It is also worthwhile to ask why are only Saudi Shia’s are being singled out for having suspect loyalties when Shia’s exist in virtually every Muslim community. Why and how does spiritual reverance for the ayatollah’s translate into political alliegance? The ayatollahs themselves do not pledge alliegance to the states that they live in and keep their distance from the political sphere (except a handful in Iran) then why are ordinary Shi’a muslims expected to the opposite and conflate religion with politics. Some members of Saudi’s influential, ultraconservative Wahabi’s publicly deem other Muslim sects as infidels and view the Shi’a with open disdain. An affirmation of this comes with two leading Wahabi clerics recently issuing statements accusing the Shi’a of being ‘heretics’. But, interestingly there has been instance in the news of Shi’a leaders playing down the notion of rising tensions by saying that the distrust between the two communities is centuries old. One wonders if such ‘leaders’ actually represent the opinion of the Shia population and if they make such statements to gain favor from or to appease the Saudi officials from further harrasing the community. Conversely there is always the possiblity that the hype of Shia persecution is incessantly sustained for geopolitical motives to create news and reflect badly on the Saudi government by external (read Iranian) regional rivals. The truth probably stands between the two factors. (a) Assess the impact of the Safavids on Twelver Shiism. Safavid rule beginning from1501 A.D was characterized by a series of curious paradoxes and contradictions and this reflected in its relationship with Shi’a Islam. It has been noted that the earler version of Shi’ism professed by Shah Ismail seemed to have moved beyond ‘all respectable form of Shi’ism’ including those which indulged in the extremist (ghuluw) views. Inspite of the fact that Shah Ismail decreed for Shi’ism to be the state religion, it has been pointed out the he was not ‘a devoted Twelver Shia’ and his knowledge of Shi’ism has been described as ‘superficial’ and ‘distinctly ill-informed’. However the argument that he could have been practicing taqaiya to appease the Qizilbash, also seems quite credible because this group gave legitimacy to his government and also because he did not show such flexbility towards the religious outlooks of other groups. (Morgan) The arguments that he chose Shi’ism for the sake of political expediency given the hostility from the neighbouring Sunni rivals and that he ‘imported’ Shia ulema perhaps because he did not trust the Persian Sunnis seem a little superficial because he seems to have enforced Shi’ism with some measure of personal conviction and that too when at a time when it was clearly not an easy task to undertake within a Sunni majority population. It was most likely a confluence of both factors that led to his preference towards Shi’ism. Initially the Safavid state controlled and appropriated the ulema’s religious hiearchy through creating the ‘top mullahs’ and confered ‘honor, wealth and power’ on the Shia ulema and during the Safavid rule the ulema seemed to have access to vast economic wealth from the religious endowments. (Mottahedeh). Later events however energized the religious sphere and the ulema attained their greatest power during the reign of the last Safavid emperor, Shah Hussain. They seemed to have a firm power base within the region and to have felt secure enough to make an increasingly independent stand viz a viz the Safavid state. (Garthwaite) The ulema were seen as showing contempt for the immoral lifestyle of the Safavid rulers who were extravagantly interested in their harems and their winecellars. (Mottahedeh) The ulema were taking an increasingly prominent role in the affairs of the state. This process came to a head Under the leadership of Baqir Majlisi succeeded in created an official kind of Shi’ism which would define the future clerical roles of the ulema. This newly emerged religious institution however was ‘concerned with its own authority’ to survive. (Garthwaite) Majlisi was one of the most powerful and influential Shi’a alim and his policies and actions reoriented Twelver Shi’ism in the direction that it was to develop to the present day ,with the creation of a distinct hierarchy of the community of mullahs. (Mottahedeh). In this sense the most significant development in Shi’ism during the time of the Safavids. Majlisi produced his encyclopediac collection of hadith, the Bihar al-Anwar during this late Safavid era. He also played an extremely proactive socio- political role and significantly the Shah Hussain regime seems to have made almost no effort to control his activities. Majlisi exerted his influence towards the suppression of Sunnism, Sufism and philosphy while propogating what seems to be a very dogmatic legalistic form of Twelver Shi’ism. His attempts to counter and reverse the philosophical Sufi trend in Twelver Shi’ism seem to have been extremely successful, because such outlook seems to have survived till the present day given the current offical outlook of Twelver Shi’ism. Such an outlook seems to have continued among Majlisi’s successors some of whom distinguished themselves as ‘persecutors’ and even ‘slayers’ of Sufis. Earlier in the Seventeeth and Eighteenth century the Akhbari school also came to dominate religious politics with the campaign of Mohammed Amin Astarabadi who revolted against such established community of mullahs. Amongst his various complaints against such hiearchy was his disdain for the way such mullahs had becom ‘cosy with the rulers’ to further their own aims. (Mottahedeh). (b) Outline the primary differences between the Usulis and the Akhbaris. The rationalist Usulis and the strict-constructionist Akhbaris constituted rival schools of jurisprudence during the Safavid era. The rationalist theologians employed cosmopolitan tools of Greek rationalism in Imami theology and came to be known as the Usulis , while those rejecting human reasoning in favor of a literalist adherence to the words of the Imams became known as Akhbaris. The differences between the Usulis and the Akhbaris centered around two sets of issues, the first concerned the sources of law and the other the principles of jurisprudence. The Usuli’s accept four sources of authority in matters of doctrine and law,the Quran, Sunna traditions (akhbar), concensus (ijma) and the intellect(aql) but the Akhbaris restricting them to Quran and Traditions (akhbar) from the Prophet and the Imams. The usulis accept and use the literal meaning of the Quran and the Traditions claiming that it is possible to know the meaning of these through the use of the intellect(aql). However the Akbaris consider that the Quran and traditions can be understood only where their meaning has been made explicit by the commentary of the Imams(tafsir and tawil) of the Imams. For them rationalist interpretations made by non Imams create the possiblity of human error. (Algar,Haider) The Usulis consider the books of Traditions to contain many unreliable Traditions while the Akhbari’s consider them to be all reliable. The Usulis consider that the doctrines or legal decisions derived from transmitted sources cannot contradict what is derived from rational principles but the Akhbaris’s consider the transmitted sources to have precedence over what is derived from the use of reason. They also disagreed over the collections of the traditions available from the Imams, the Usulis discrediting significant collections of traditions that were seen as credible by the Akhbari school. The Akhbaris considered all traditions to be credible. The Usulis saw the consensus of the jursiprudents as another source of legal judgement, as they did the independent reasoning of the jurist. The Usulis divided all Shi’i into formally trained jurisprudents(mujtahids) and laymen, stipulating that the ordinary believers must emulate the mujtahids in matters of religious law. They asserted that the mujtahids,as representatives of the Hidden Imam, could substitute for him in performing such tasks as giving legal judgements, implementing rulings, collecting and distributing alms or mandating defensive holy wars. The Akhbaris although allowing for the relators of oral reports of Imams to perform judicial functions, often disallowed some or all of the other functions in the absence of an infalliable Imam. Akhbari’s further rejected any division of believers into laymen and mujtahid-exemplars, holding that all Shi’i must emulate the Twelve Imams. In practice however the Akhbaris also made interpretations but theybelieved in the human intellect as tool capable of understanding religion. In sense then when the Imam’s were a conduit for intercession between man and God, the Usuli position further seems to have diluted such intercession by positing the mujtahids as some sort of an intercession between the Imam and the people. Some Akhbaris went further and also rejected all the Mutazili basis of Shi’i doctrine, reaching an almost Ashari position in theology. Infact if the Akhbari’s had succeeded they would have brought Shi’ism very close to Sunnism. Ironically also the Akhbaris like Shahrastani accused the Ususli’s of borrowing the concepts of rationalistic interpretations from Sunni jurisprudence. The Akbari emphasis on the primacy of traditions seems a little contrived and inconvenient given their outlook that in the absence of reliable traditions on subjects any action was ‘dubious and best not taken’. (Algar, Haider). This would place significant constraints on the freedom of individual human agency. Also the connection between the knowledge of Arabic language and the comprehension of textual traditions seems misplaced for non-Arab Shi’ites. In this sense the Akhbari school could not possibly hoped to have universal appeal in the world of Shi’ism which extends far beyond the Arab world. The Usuli doctrines on the other hand seem to have introduced great rigidity and inflexibility into Shi’ism and their efforts to declare the Akhbaris as heretics seem quite excessive and overly aggressive. An attack on a Shi’ite mosque by a Sunni radical in Brussels last week has brought the issue of sectarianism in the diaspora to the forefront. Although act this seems to have been a one of its kind, it is too soon yet to say whether it is clearly indicative of the presence of a violent form of sectarianism in Europe or not. It does not come as a surprise when experts attribute such friction to the increased proliferation of the Wahhabi/Salafi ideology and rhetoric within the Sunni segments of the Muslim population. The Wahhabi creed is regrettably characterized by a set of doctrinal beliefs and behavior prescriptions that are inimical to the values and interests of the vast majority of Muslims. And yet inspite this virulent ideology has found a place for itself as a dominant idiom in the international Islamic establishment, it is significant to note that leading Sunni scholars of their times have renounced Wahhabism because it rejected many of the traditional beliefs and practices of Sunni Islam. Noted scholar and academic Hamid Algar believes that Wahhabism is a specific phenomenon that calls for recognition as a separated school of thought or even as a sect of its own. Wahhabism ‘must be regarded within the specific context of its own time as an exception, an aberration, or at best an anomaly’, he says. Algar also argues that the Wahhabi movement, which he describes as a peculiar interpretation of Islamic doctrine’ was an ‘intellectually marginal’ one and might have passed into history as ‘a short lived sectarian movement’, had it not found a voice outside the limited confines of East Arabia after it got free access to Saudi oil money. Having said that however it is sad to see the extent of violence such rhetoric can incite as was witnessed in Brussels. All this is ironic because the Muslims in Europe are already a minority group and further discord and divisions within the community certainly will not bear well for these Muslims. Also many Muslim groups belonging to minority sects live in the diaspora in order to flee persecution and hostility from the orthodox Sunni diktats within their home countries. The fact is that they continue to face such prejudice and violence in the Western world which is supposedly a ‘safe haven’ for them. It is noteworthy in this sense to see how the Shi’i-Sunni rivalry spills over into the diaspora. While it is natural for people to frequent congregations which are affiliated with their sects, it is another thing to revile the other sect and alienate its adherents by vicious hate mongering. However the non-Shia biographies are much less reverent and rationalized than the Shia ones. Cooperson for example talks about the ‘contentious atmosphere’ , ‘conflicting alliances and loyalties which arose over the successive claims of Imamate. From such accounts one gets a sense that there existed intense and common place debates over the nature and identity of the Imams. One does not really find this perspective in the Shi’i writings . Some of the generalized assertions made such as that the ‘Imam is interchangeable with his predecessors and successors’ and much of what one says could be attributed any other Imams or that the Twelver biography not grounded in historical accuracy and are ‘mythographic’, obviously diverge dramatically from the Shia narratives. In this sense Cooperson shows how the Shia sources resemble Christian hagiography production with the difference being that Shi’i use precise dates and transmission (isnads) for ‘polemical purposes’. The Shi’i narratives surrounding the life of Imam Musa Kazim present him as a pious, restrained and forebearing man who had knowledge of the future. (Mufid) They also present a somewhat fatalistic view of the Imam in which he silently perseveres through the tragedies that befall him and turns his imprisonment into an agentative condition which protected the Shi’i from an unjust ruler. (Kohlberg, Mufid) In the non Shi’i accounts he is also portrayed as a learned man who is greatly respected , specially given his status as a transmitter of Prophetic traditions. (Kohlberg) In this regard his persona in historical terms is far less controversial that that of his son Imam Ali Rida, whose Imamate seems to be riddled with difficulties. 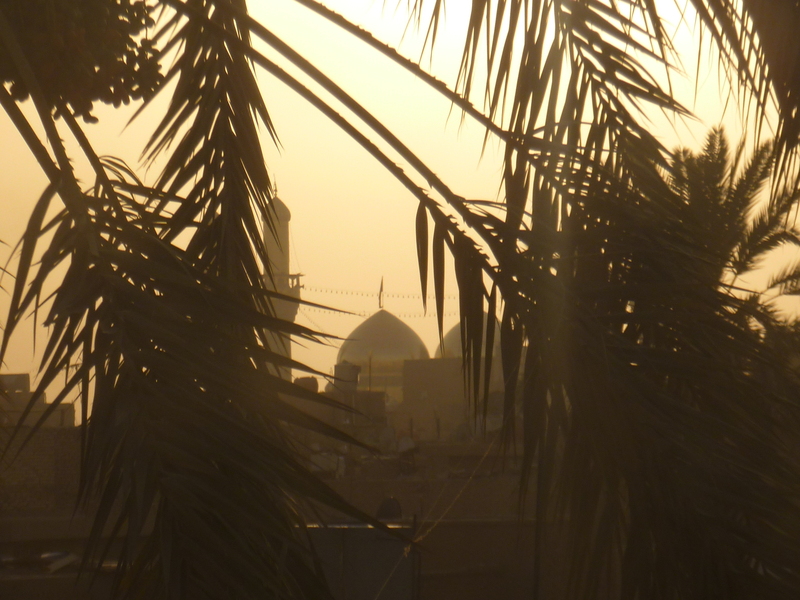 The accounts of the circumstances surrounding his death however provide the most room for debate within both the Shi’i and non-Shi’i narratives. The Shia narratives are structured to portray his death as a willful act of subservience to God, while the non-Shia narratives question his fore-knowledge which seemed unlikely given the way that he is said to have died. It is really interesting to find that with regards to Imam Rida the early non-shiite or even Shi’i historians ‘say nothing about him’ and that there was manifest repudiation within the Imami Shi’i concerning his position. ( Cooperson). Rida’s imamate was clearly a matter of dispute and his reputation went through different stages before it became crystalized in a canonical form. His reputation apparently spread through the various efforts of his associates. This was specially so from a group of Kazim’s followers, the Waqifiya who refuse to acknowledge him. This could possibly be because his transmitters were strictly Shiites and he was rejected by the Sunnis. ( Madelung) Non-Sunni accounts show how he struggled to make his claim persuasive in that ‘he strove to guide his followers, persuade doubters, refute opponents and bring malcontents back into the fold’. The Shi’i and non Shi’i sources also diverge over the assessment of the antagonists such as Caliph Mamun. While it has been pointed out that there was an absence of credible reports of Mamun’s guilt in the death of Ali Rida even in shia sources and that he held pro-Alid views until the end of his life. Shia Persecution: A Global Conspiracy? This article was published in ‘The Economist’ recently which presented an overview of the acts of violence carried out against Shia Muslims in the month of Muharram. Initially what piqued my interest in this article was the characterizations made at the very onset of the Shia muslims as becoming ‘ increasingly lonely and nervous’. Apart from this, the article is based on a usual Shia persecution narrative that one finds around the time of Ashura every year. The assertions about the perceived sense of growing isolation and unease among the Shia seem contestable as does the part about the Shia blaming their current condition on a ‘global conspiracy’.As we know Shi’ism has been facing a hostile environment pretty much ever since the time of its inception. There seems to be nothing new then in the present day hostility to distinguish it from that of the past. Also while the conspiracy theories are rampant in the Shi’i narrative, the idea of a consolidated global threat seems a little far fetched because the Shia seem to percieve the Sunni’s as their immediate antagonists. This can be attested from the fact that all the incidents of violence that take place against the Shia happen in Muslim communities where the Sunni’s are more often than not the majority sect. The following is an interesting post from a Jordanian blogger about attitudes towards the Shia Muslims in the Middle East.